1. Gift the services of a career coach or resume professional. While this may seem a bit self-promotional, the difference between a DIY resume and a professionally written resume can make all the difference in the world. Here’s a tip: offer to gift a specific amount, without choosing the company for your job seeker. Working with a resume writer or coach is a very personal choice and should be directed by the person who will use those services. Let the job seeker ‘interview’ a few service providers to make sure the one that ‘best fits’ is chosen and to ensure the job seeker is ready and motivated to use these services. 2. Make introductions to influential people. Invite your job seeker to a networking coffee or after-hours cocktail with hiring managers, human resource people or recruiters that are already in your network. Sharing your connections in such a personal way is a generous, low-cost, high-impact gift that not many people think of doing. 3. Pay the annual dues to an important business association or professional group. Memberships are crucial to connecting with industry experts and potential employers. 4. Pay for an enhanced LinkedIn membership for 3 or 6 months. A paid LinkedIn membership will give your job seeker more and easier access to recruiters and employers. Likewise, it ensures that their profile is easily accessible to recruiters and employers. 5. A good book never goes out of style. Every year, ‘What Color is Your Parachute?’ comes out with an updated print version and online supplement. Our clients find this one to be very helpful. Another good one is ‘StrengthsFinder 2.0′. It’s chock-full of great information. But these aren’t the only two out there. 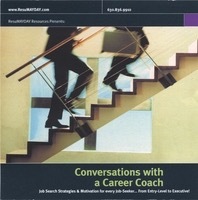 Take a look at career/job search books at your favorite bookseller and read the reviews. You’re sure to find something to help point your job seeker in the right direction, and these books don’t cost a lot of money. 6. Consider gifting something wearable, such as a power tie or pretty bracelet. This can be the perfect token to show your support, and boost your job seeker’s confidence in an interview. 7. Lastly, pick a gift that rewards their hard work. Finding a job IS a job, if you’re doing it right. Gift your job seeker with dinner and a movie, a manicure or something else that brings a bit of fun and relaxation to their schedule. Here’s a news clip of Lauren Milligan, from ResuMAYDAY, DISCUSSING THESE IDEAS with Ray Cortopassi over at Fox 59 in Indianapolis. Is Ray on the Naughty or Nice list? Find out! Spring is right around the corner, and Uncle Sam is lurking there, too. If you spent any time in 2014 searching for a job, I hope you kept track of money spent on that job search. 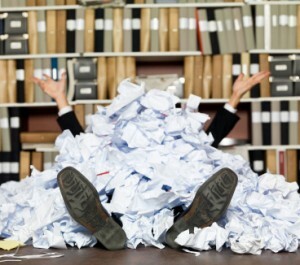 Not many people know that you can deduct job search costs as miscellaneous expenses (if you itemize). It’s important to note that qualifying expenses can be written off even if you didn’t int erview for, or were hired for a new job, as long as you were looking to stay in the same role or industry. • Transportation expenses incurred as part of the job search, including traveling to interviews. The current mileage reimbursement is $.56 cents a mile for driving your own car, plus parking and tolls. • Food and lodging expenses if your search takes you away from home overnight. • Costs of printing resumes, business cards, handbills, postage. • Advertising and networking (this would include membership fees to in-person networking groups and business associations, and online memberships such as a premium LinkedIn account. Make sure to consult with your accountant on each of these items, and if you’ll be looking for a job in 2015, save those receipts! Are you stuck in job prison? The employee: She feels stuck in a job that she hates and is underpaid. Job Prison! The employer: The job is the job. Don’t like it? There’s a line of people who would love to take your place. Here’s an article that discussed both sides of the story. Why am I posting this? Pay special attention to #9, that’s why!